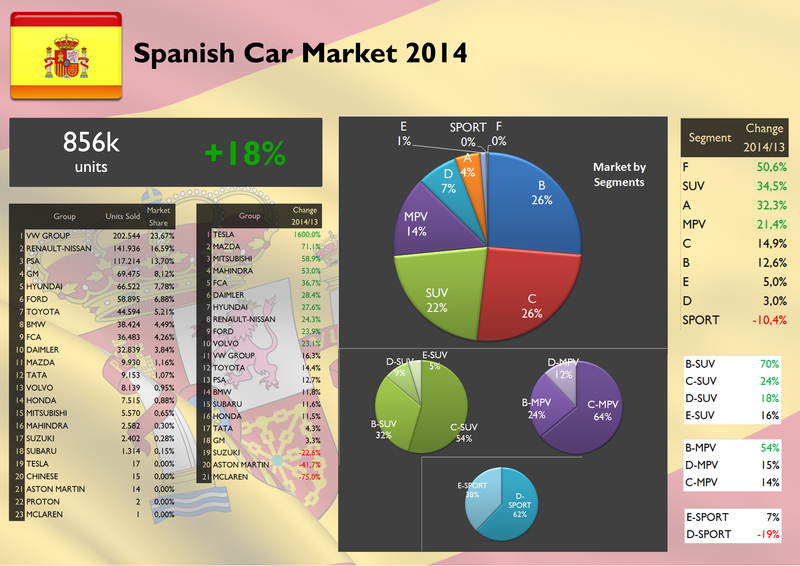 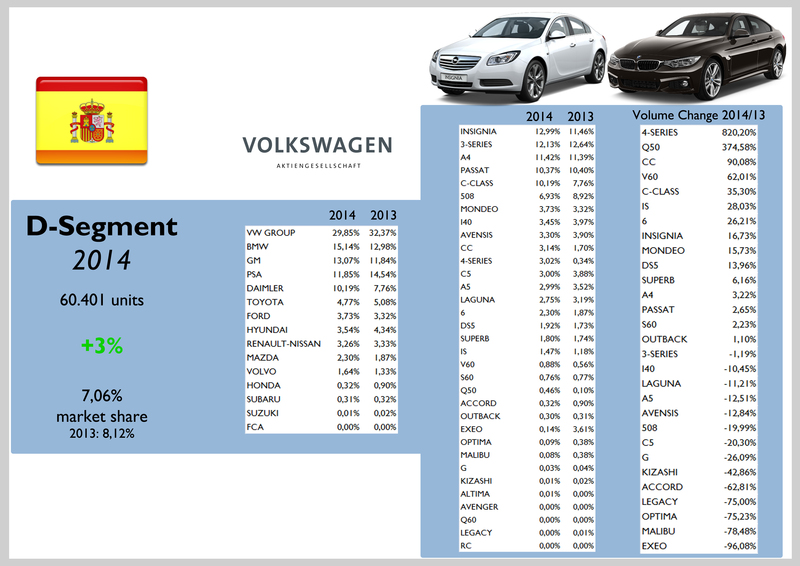 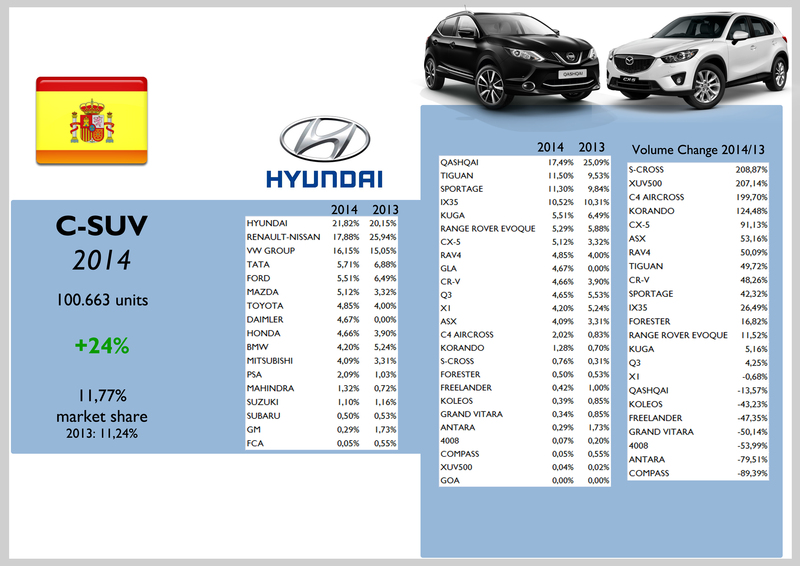 After some years of red numbers, the Spanish car market is back with sales up a massive 18%, but it is still far from pre-crisis figures (1,4 million units). 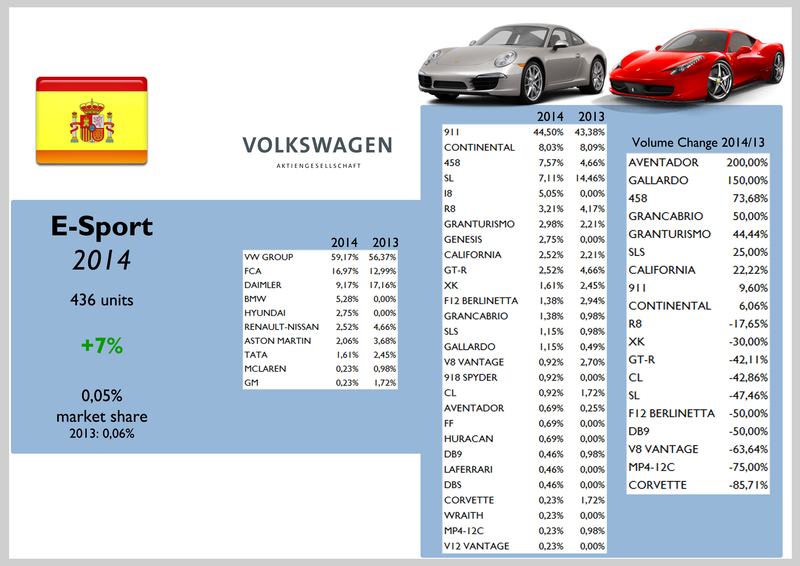 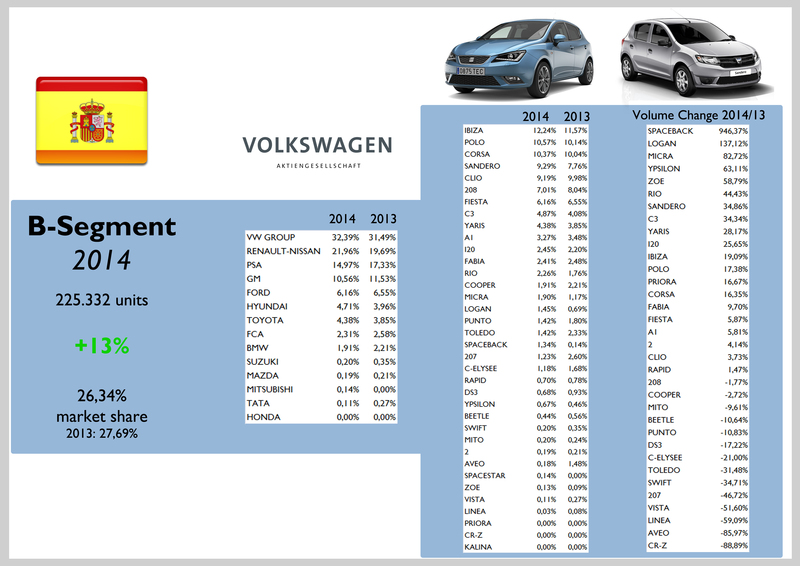 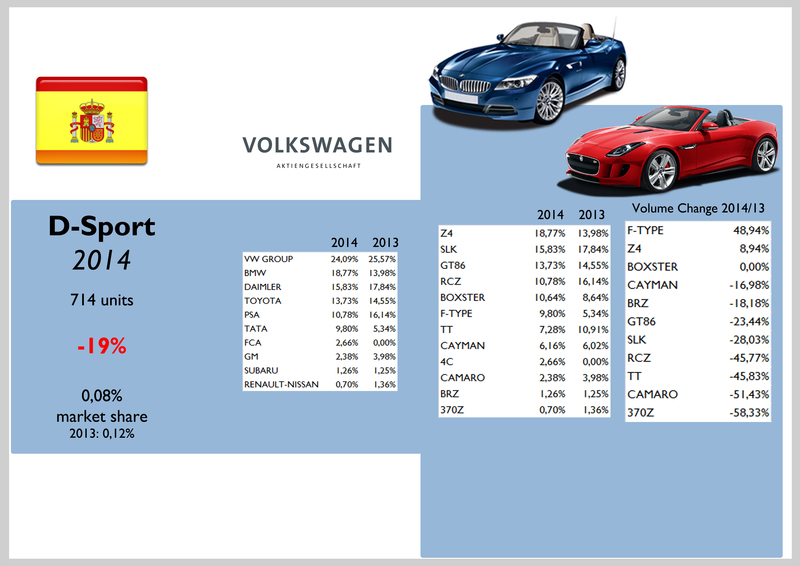 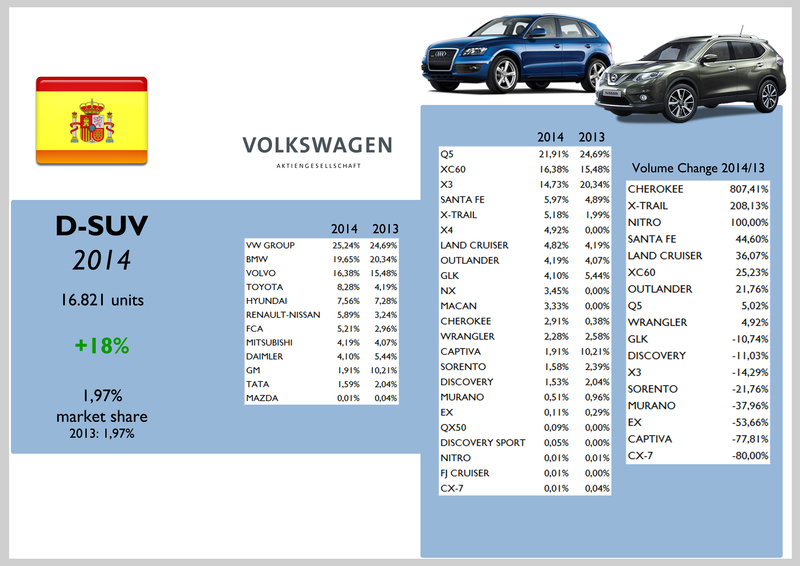 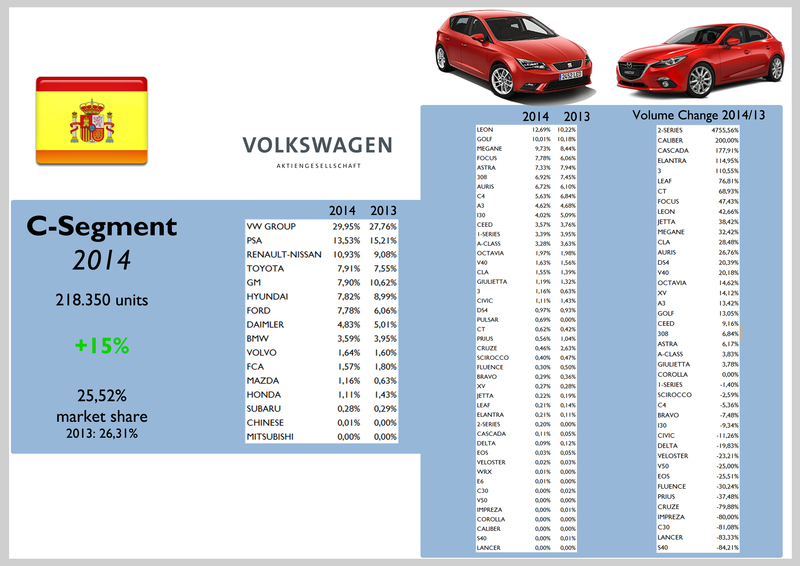 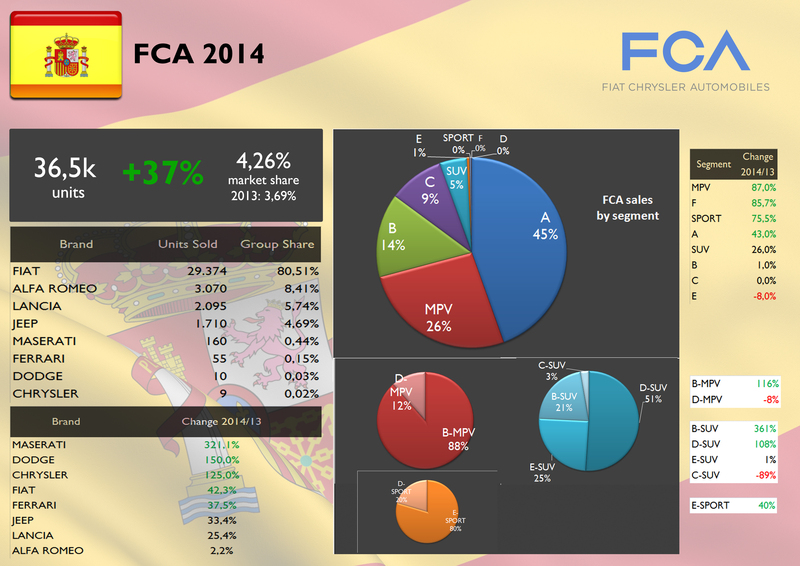 VW group leads with almost 24% share but its sales grew less than overall market. 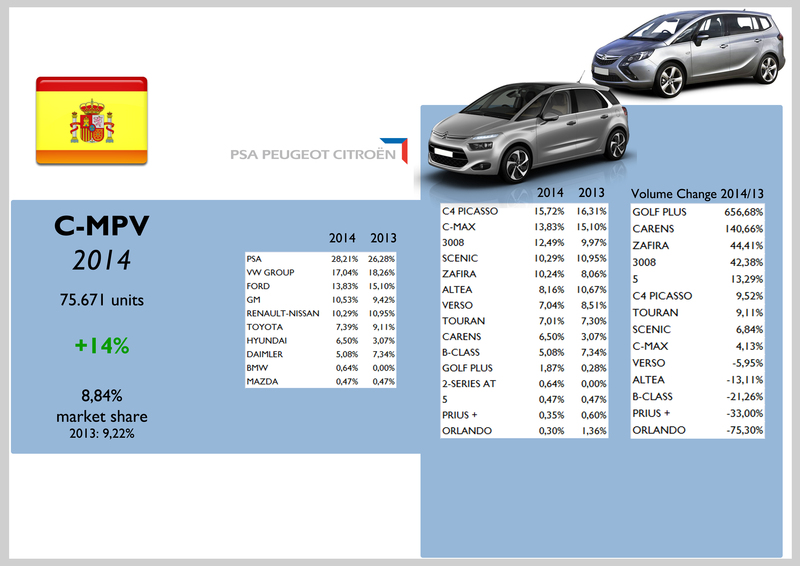 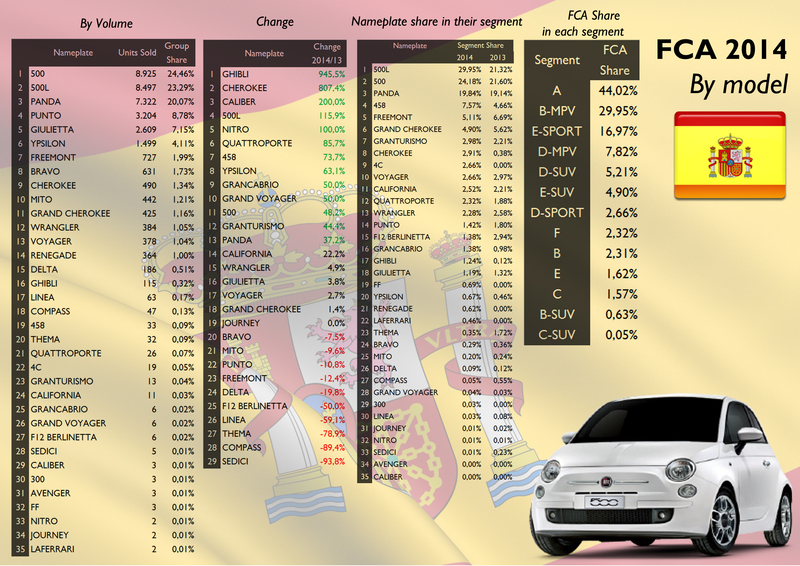 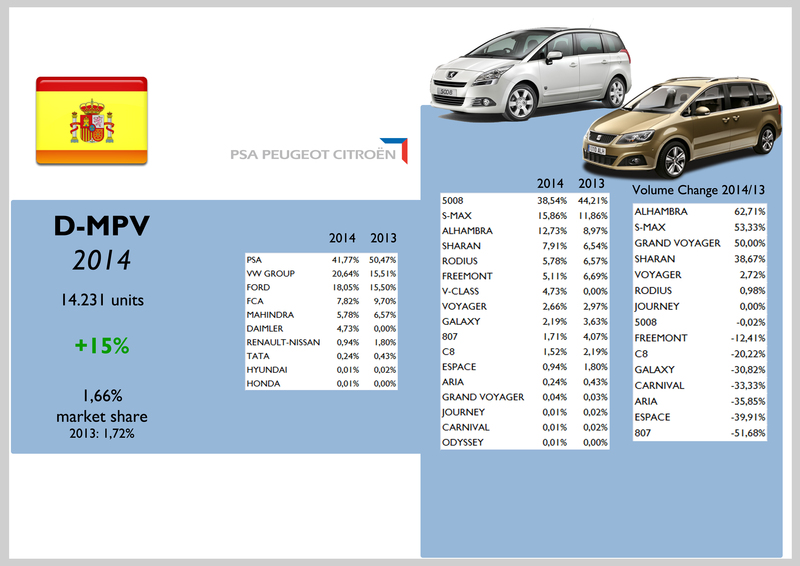 Spanish prefer sub-compact and compact cars, but as it happened in the rest of Europe, SUV sales posted the highest grow, followed by the city-cars (which favoured Fiat). 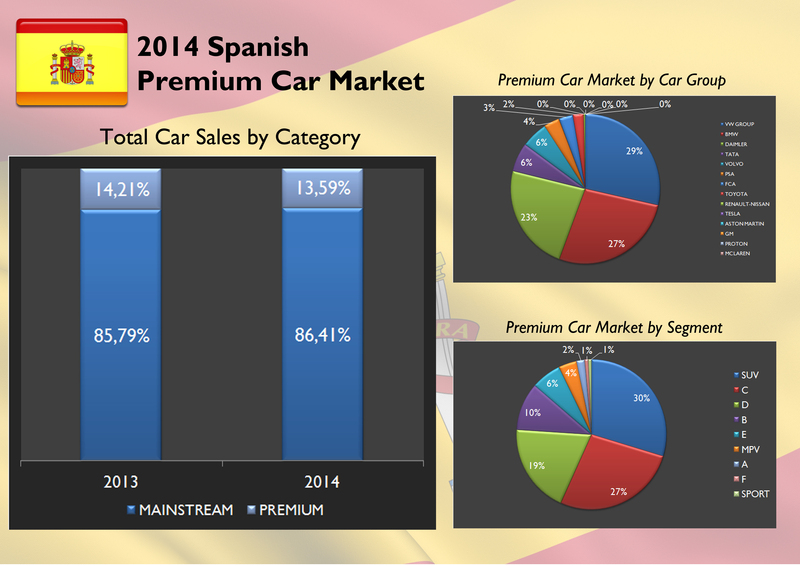 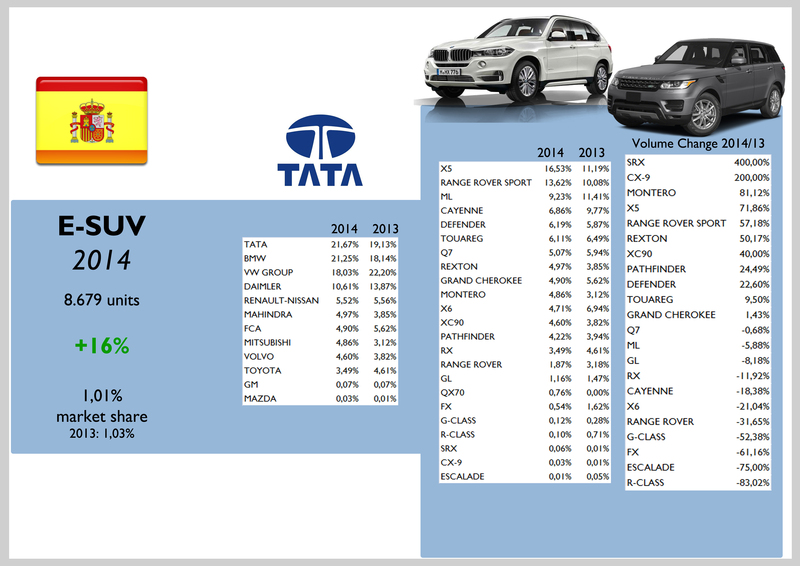 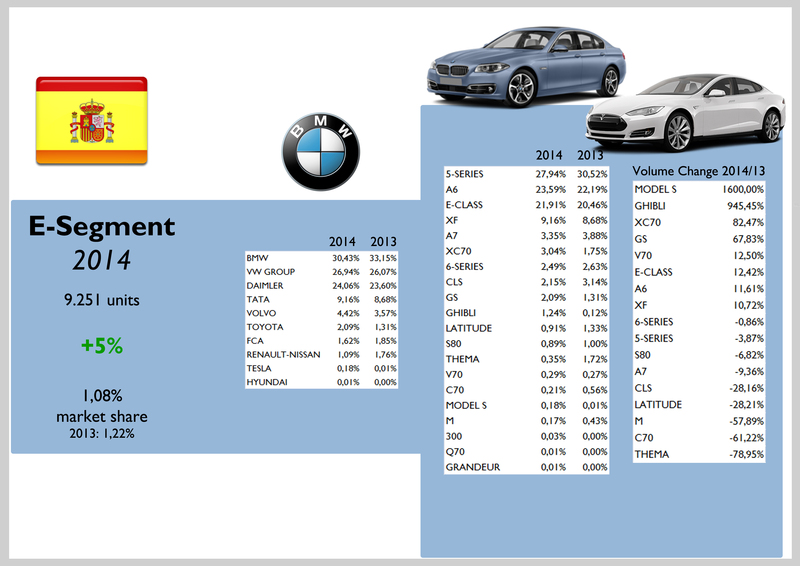 Premium cars lost share due mainly to BMW. 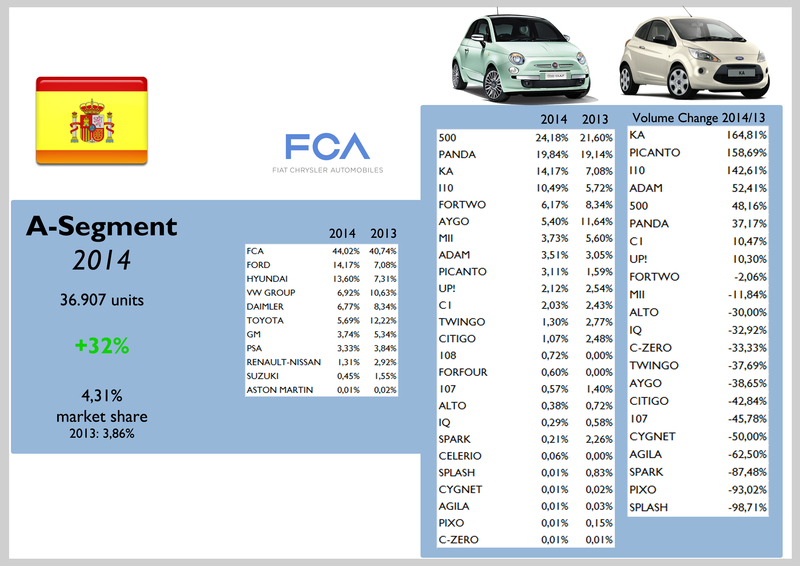 In this positive context, FCA was able to more than double the market’s growth becoming the best performer of the top 10. 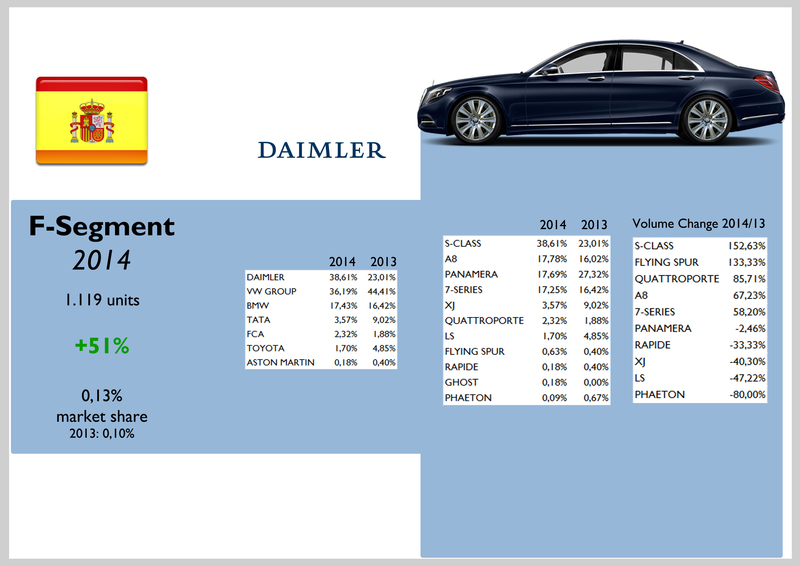 Its market share jumped from 3,7% to 4,3%, outperforming the share of the other 3 European major markets: UK, France and Germany. 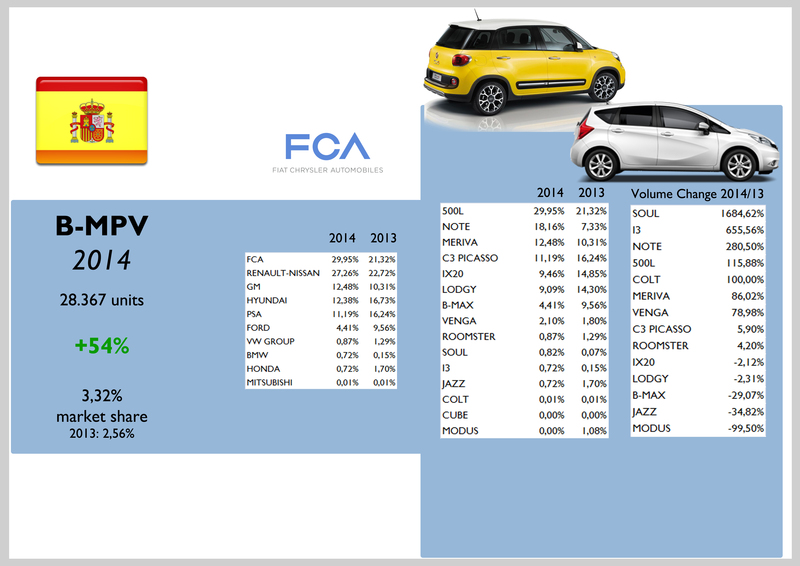 The growth was possible thanks to Fiat brand and Jeep, but even Alfa Romeo and Lancia registered positive changes. 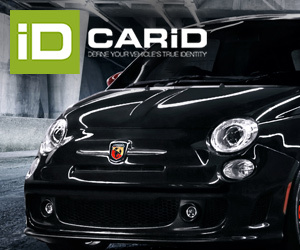 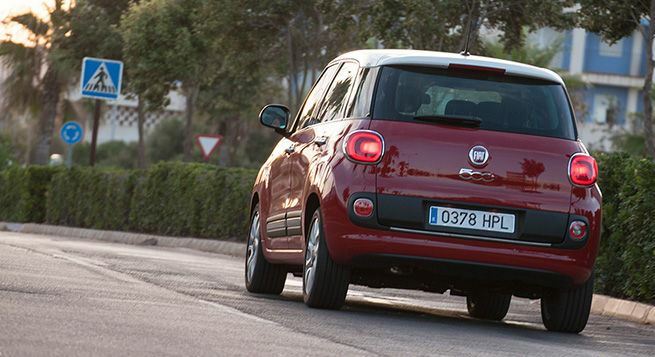 In fact the 500 and Panda counted for 45% of the group sales in Spain, and they were followed by the big success of the 500L, which was the country’s best-selling small MPV. 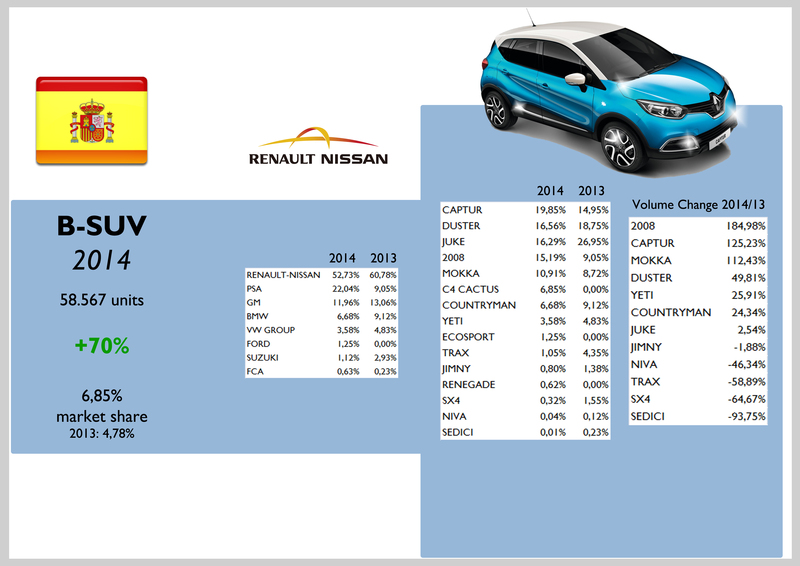 Jeep didn’t perform as in other countries, but the Cherokee had the highest grow in its segment and the Renegade should impact 2015 sales.